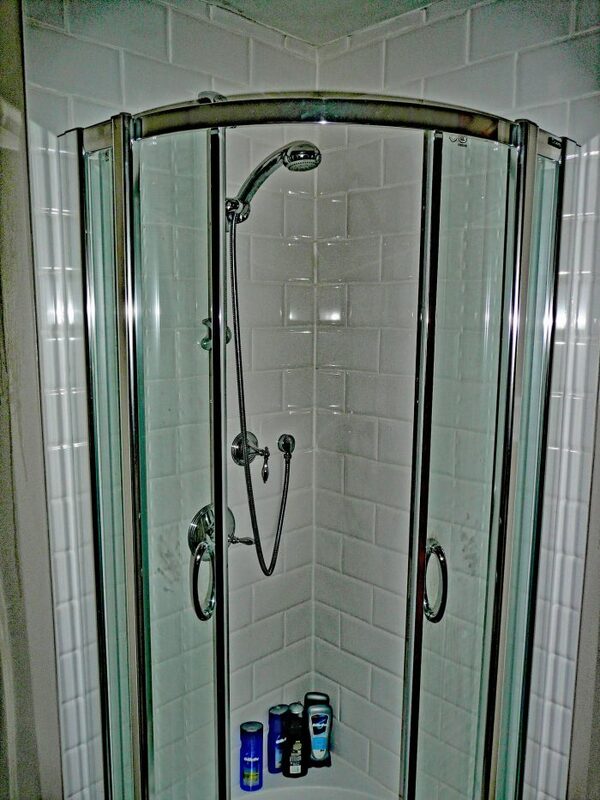 1 Walk in shower with glass wall feature. 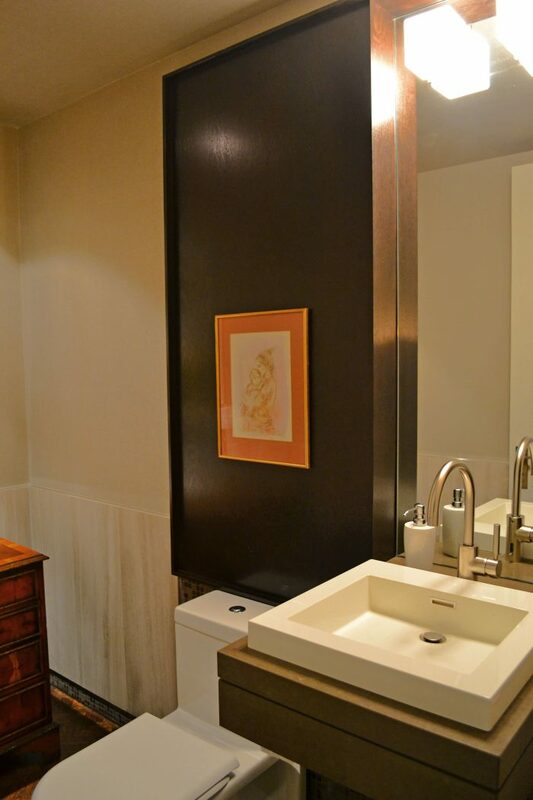 2 Modern powder room with a 1 piece toilet. 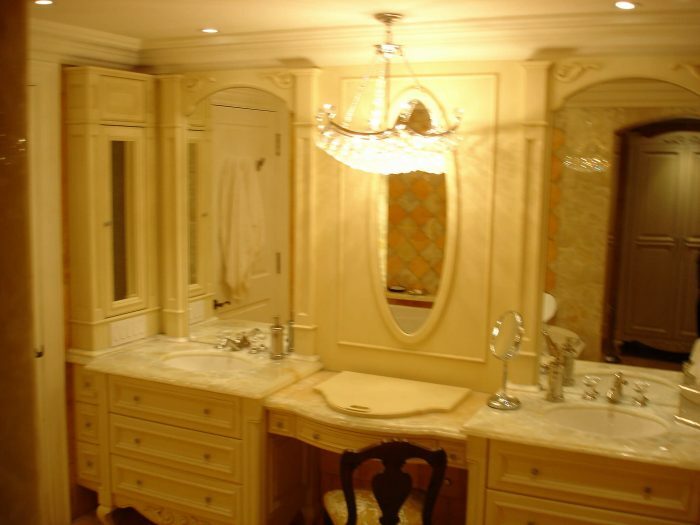 3 Modern powder room with a 1 piece toilet. 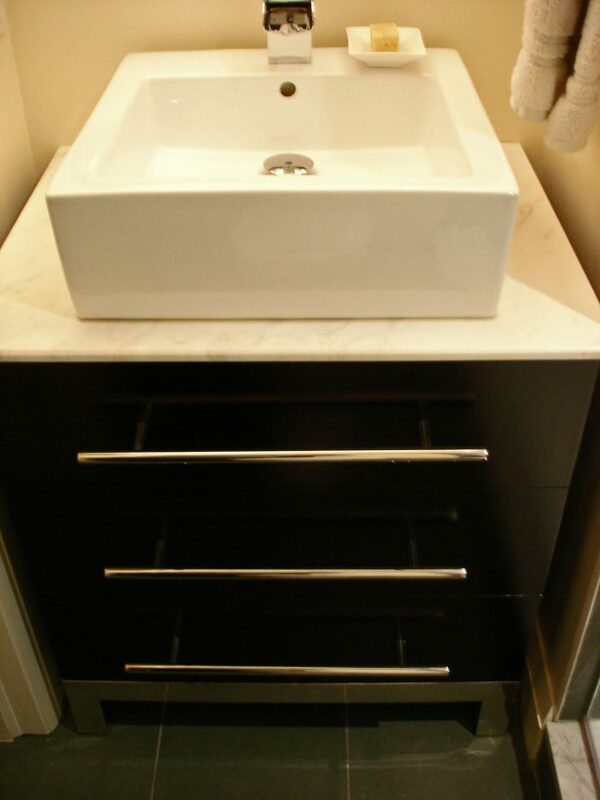 4 Double vanity bathroom with dark wood and black tiles. 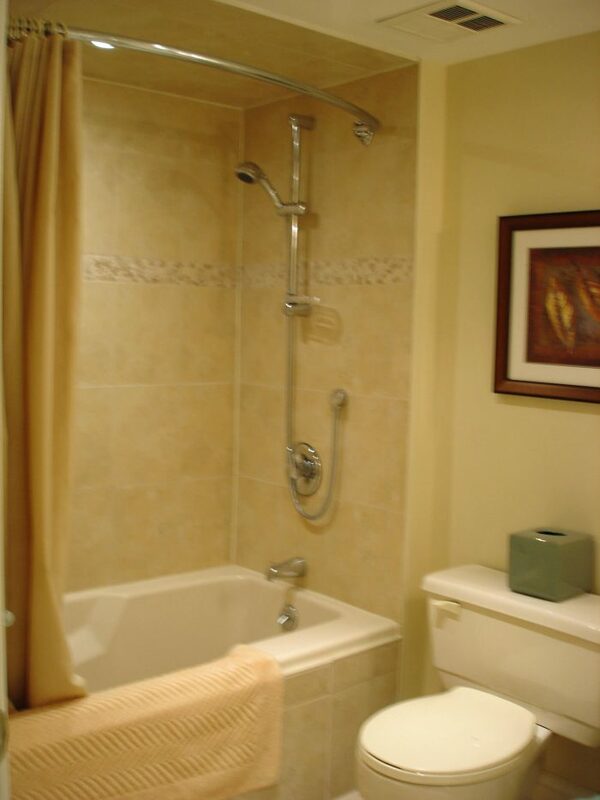 5 Guest bathroom with dark tiled shower. 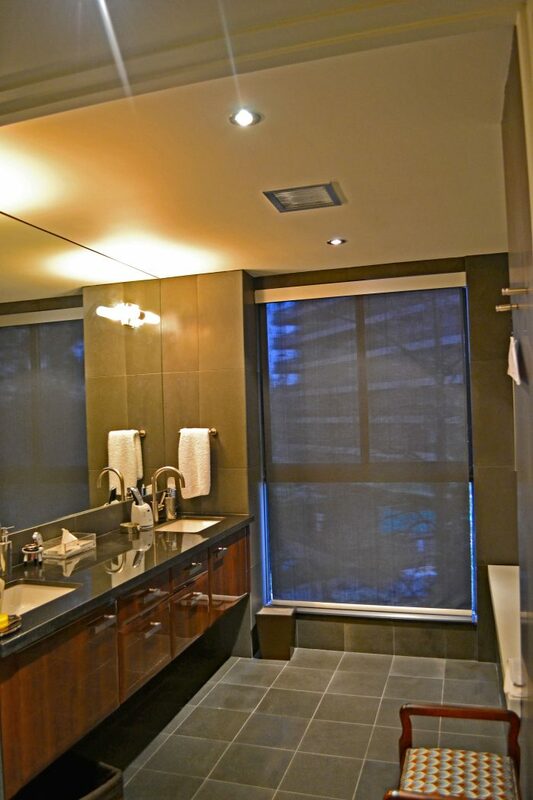 6 Bathroom with large format dark tiles. 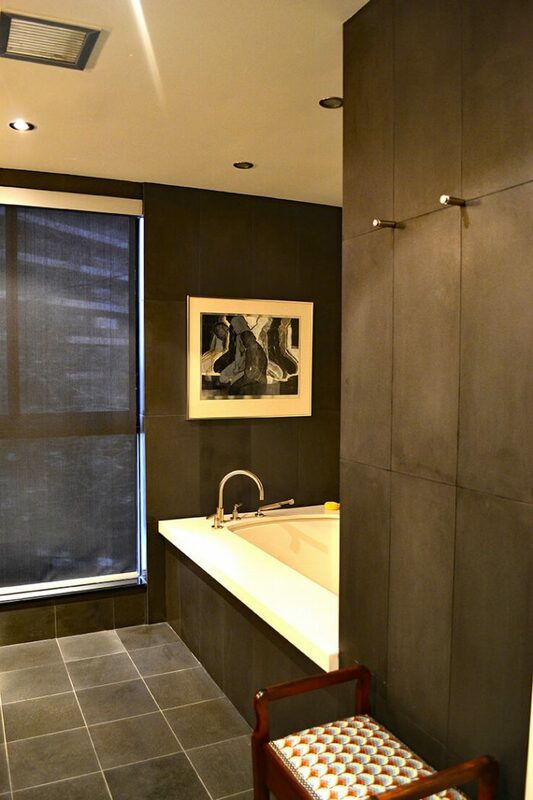 9 Dark floor tiles to match vanity and wall tiles. 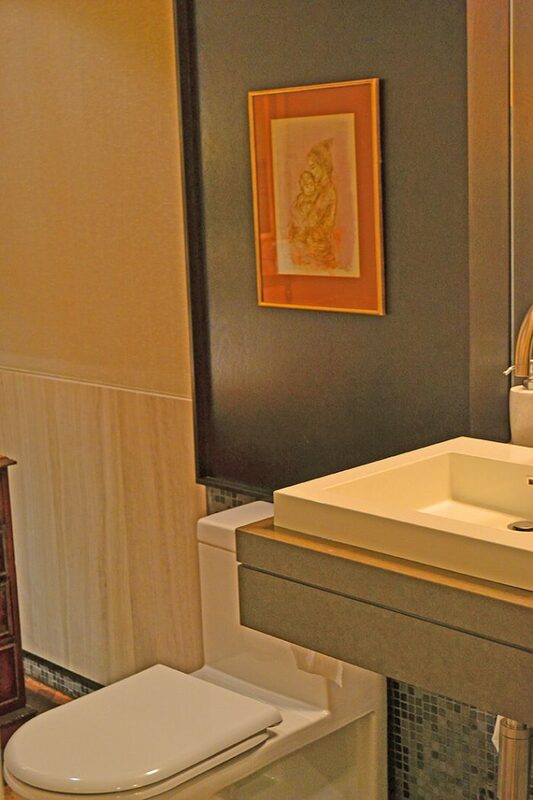 10 Modern style bathroom sink. 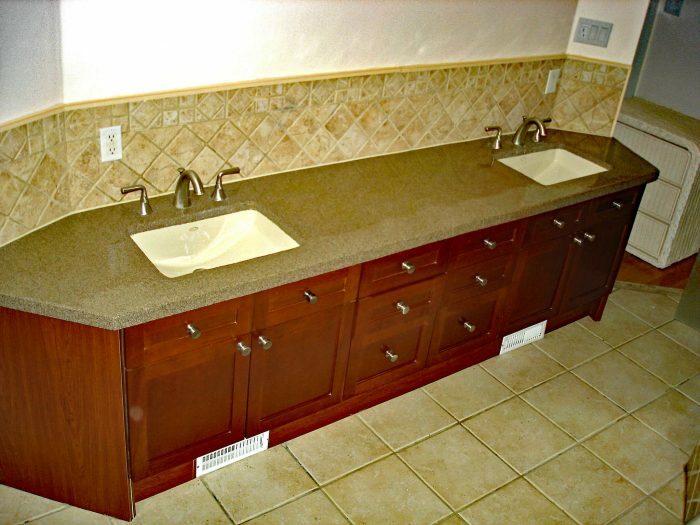 11 Vanity with stone top and backsplash. 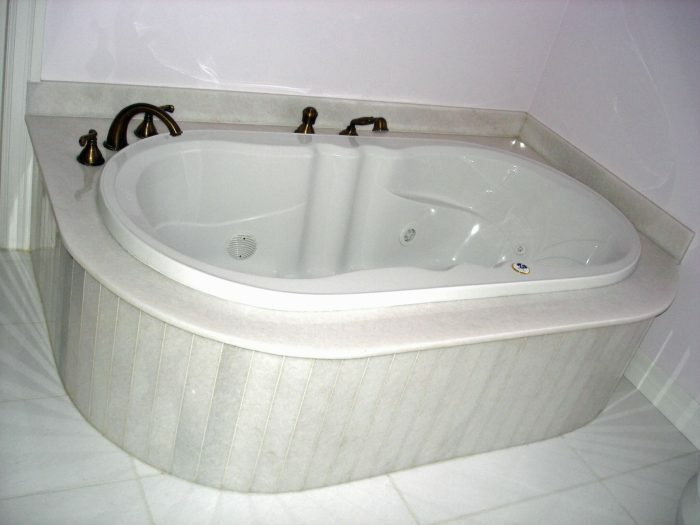 12 Jaccuzzi tub with a custom skirt to match bathroom decor. 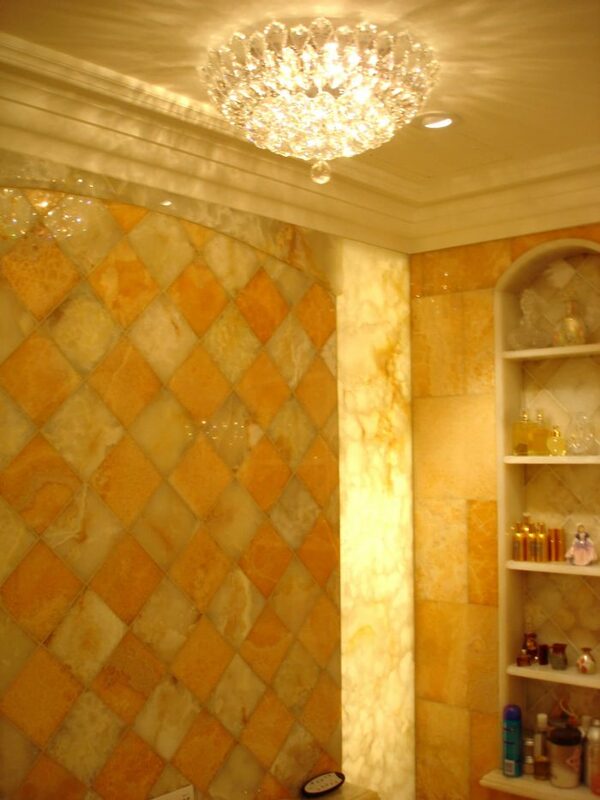 13 Classical style shower tiles running in daiangonal pattern. 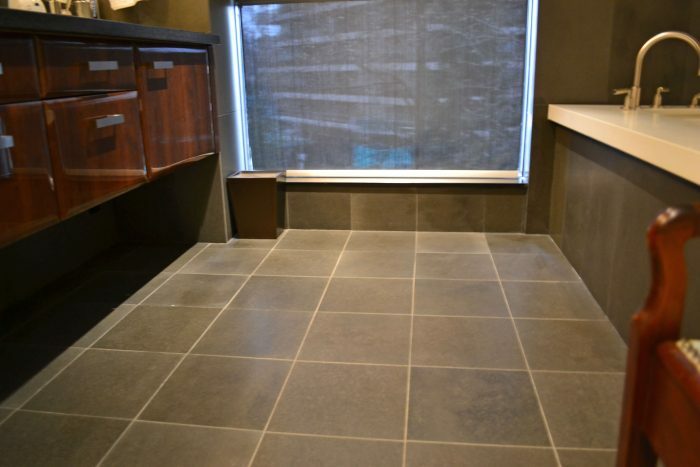 14 Walk in shower with tiled walls and custom built bench seat. 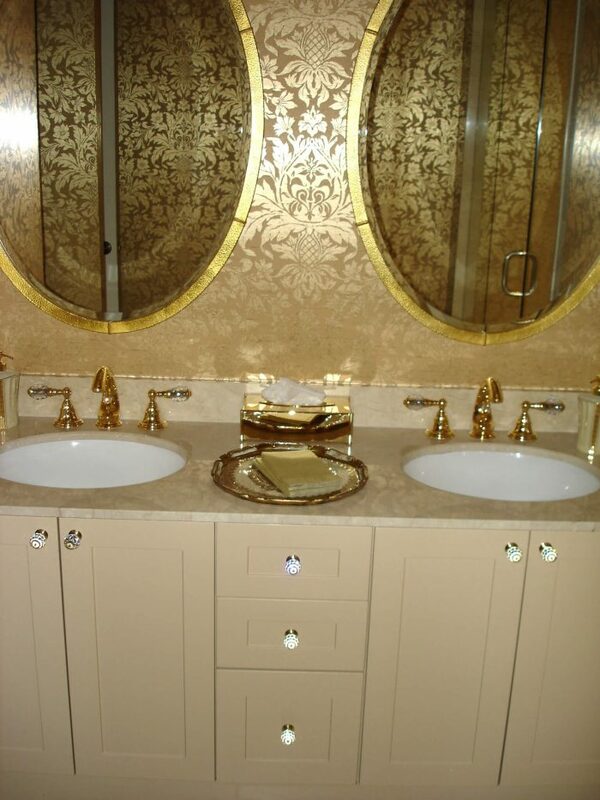 15 Master bathrrom with custom built vanity with his' and her's sinks. 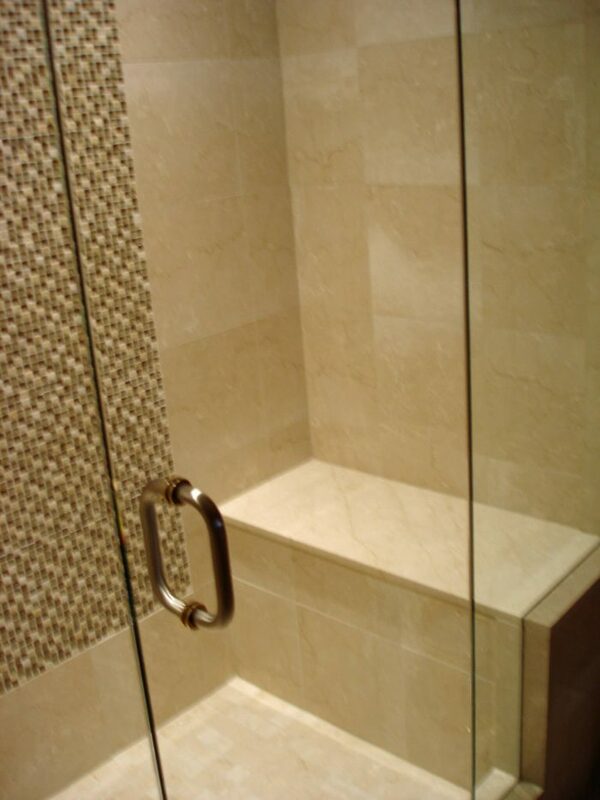 16 Custom built walk in shower with classical tiles and a wrap around bench. 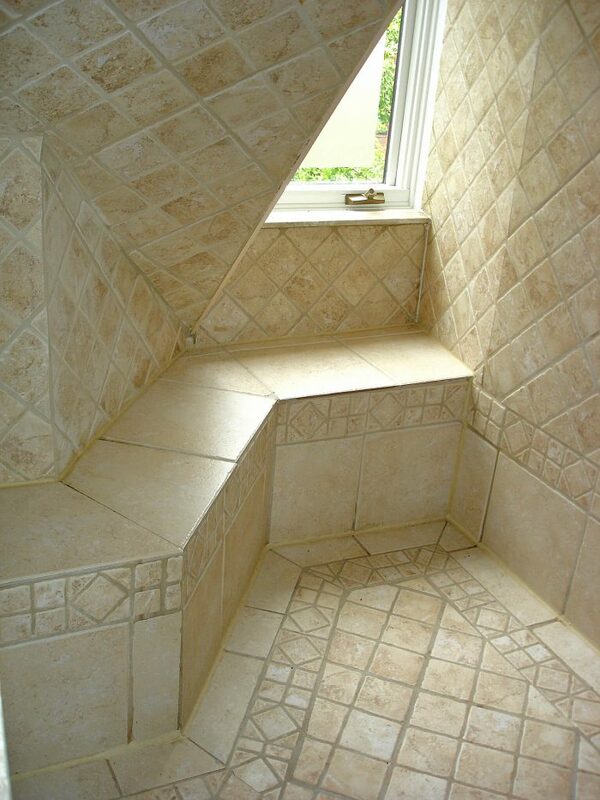 17 Guest bathroom with a tub shower and tiled border. 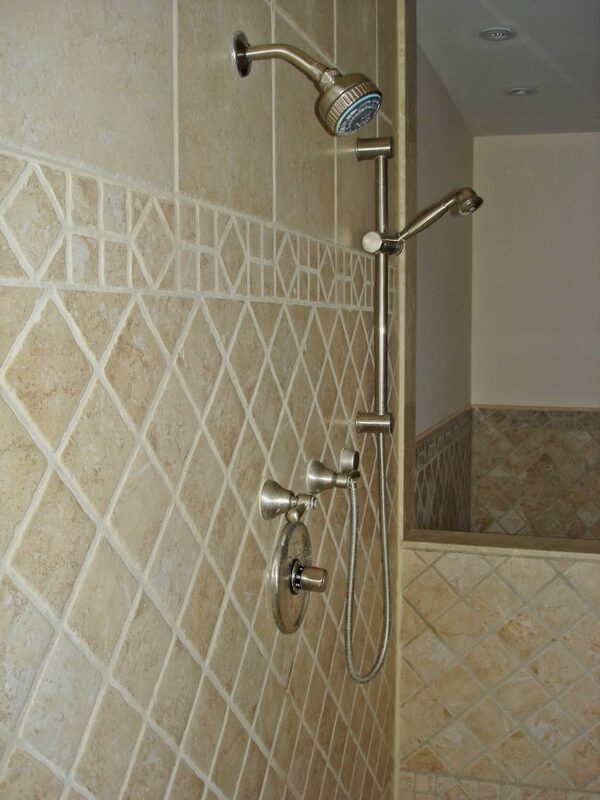 18 Master bathrrom with a classical European design. 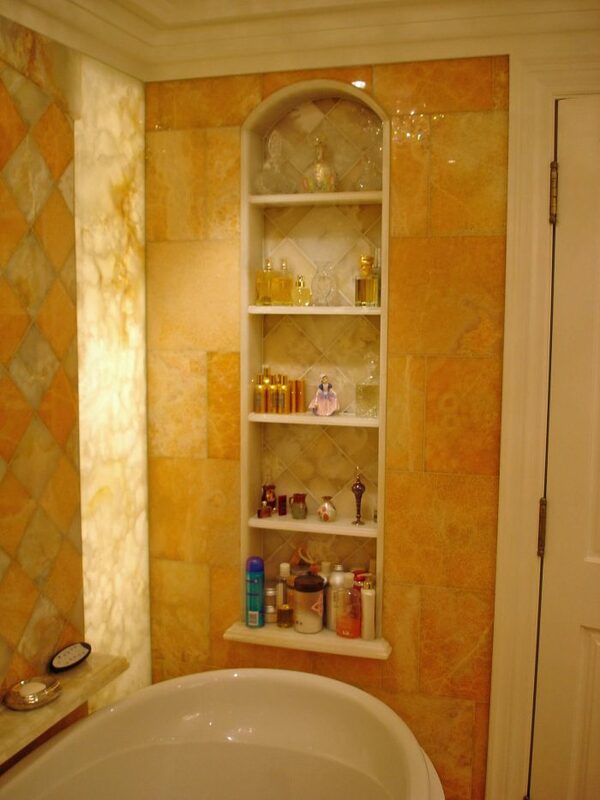 19 A tall classical European wall niche. 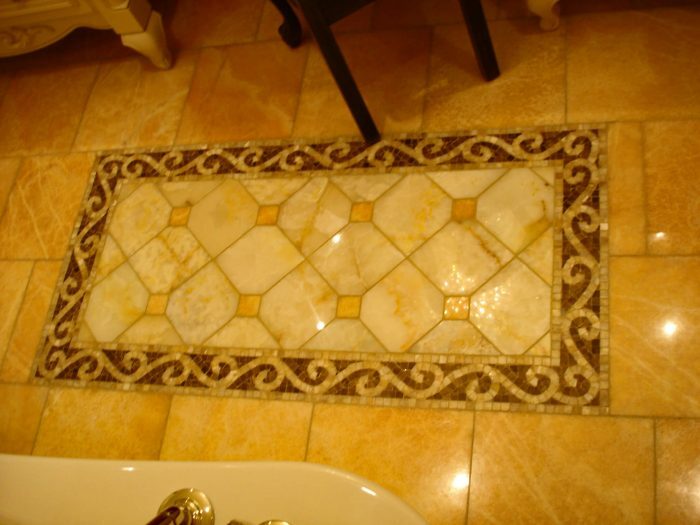 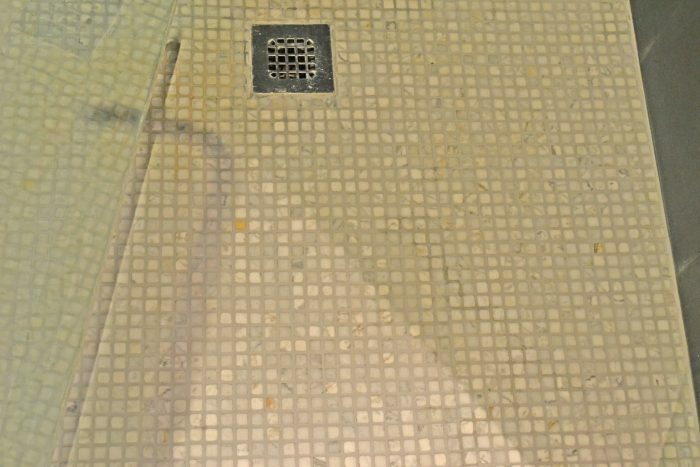 20 A tile inset to add a European accent to the bathroom floor. 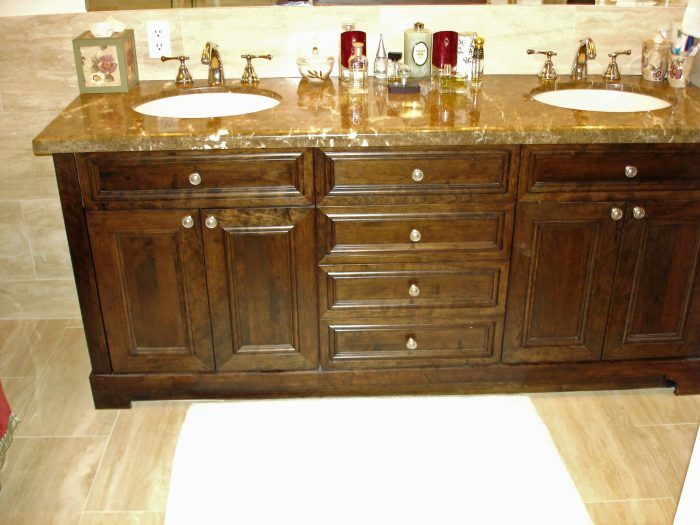 21 Double vanity with his' and her's sinks. 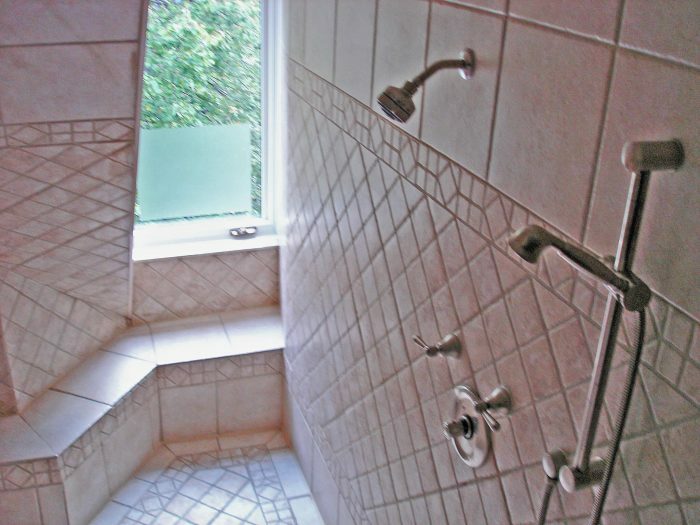 22 A walk in shower with a custom built in bench. 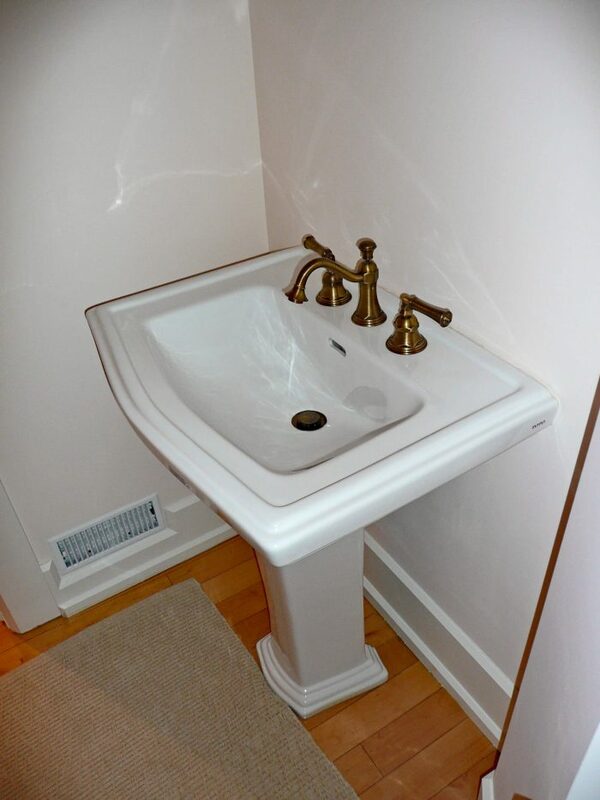 23 Double vanity with his' and her's sinks. 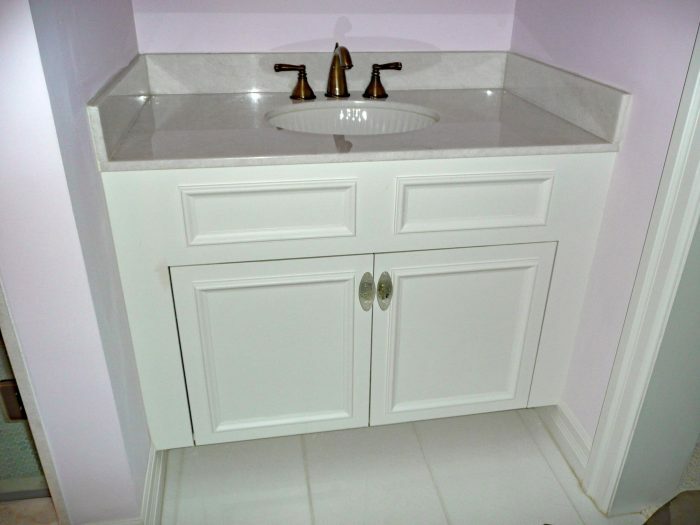 24 A powder room with a sleek white sink. 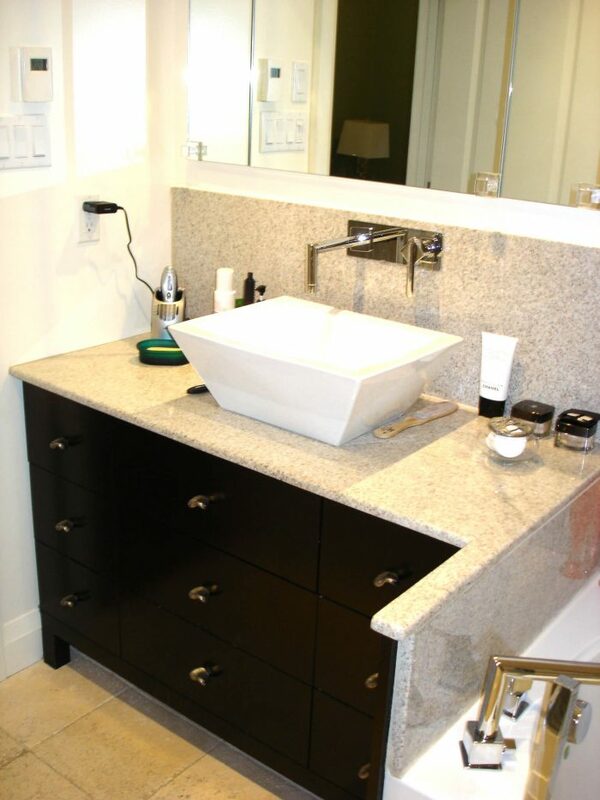 25 A custom vanity with a stone counter top. 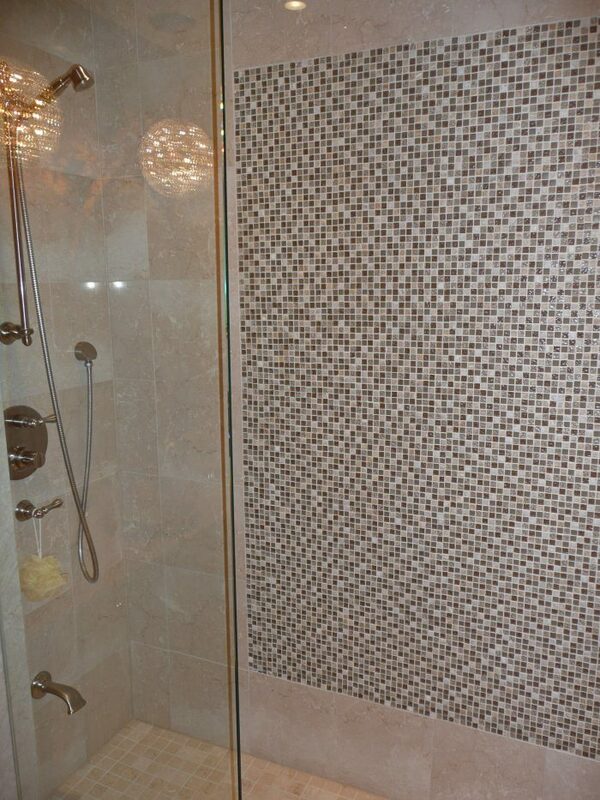 26 A custom walk in shower with a tile backsplash. 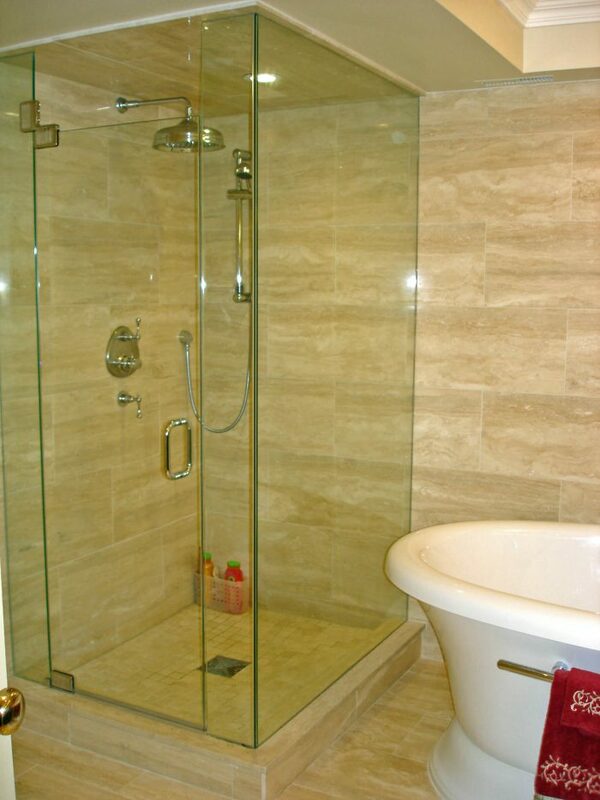 28 A glass paneled shower with 12' x 12' wall tiles. 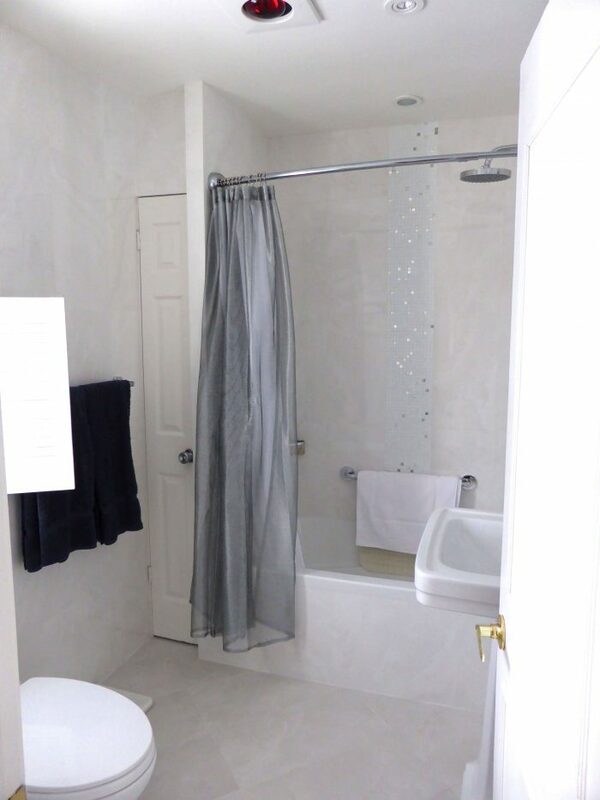 29 A crisp white guest bathroom. 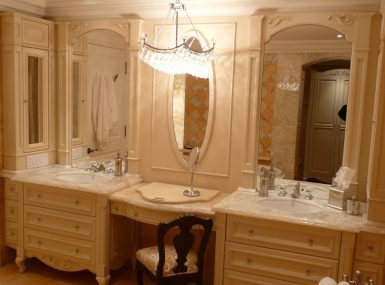 30 An elegant double vanity with his' and her's sinks. 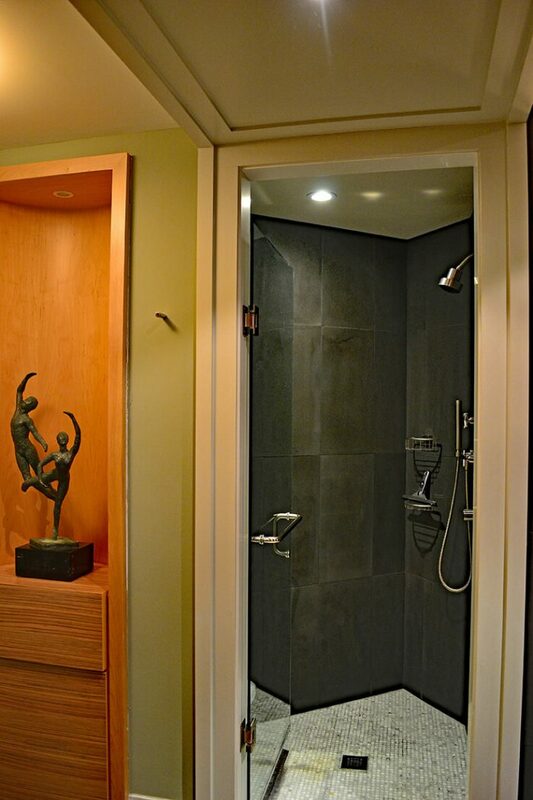 31 A glass paneled custom walk in rain shower. 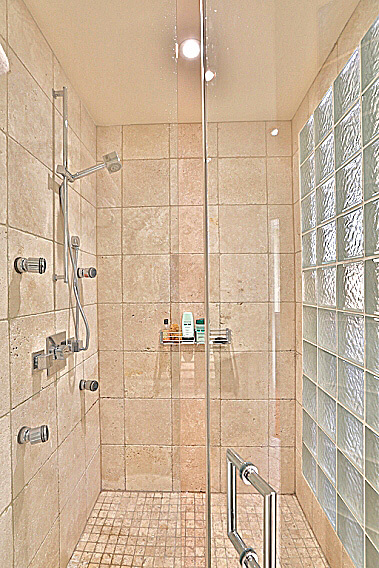 32 A modern walk in shower with subway tiles. 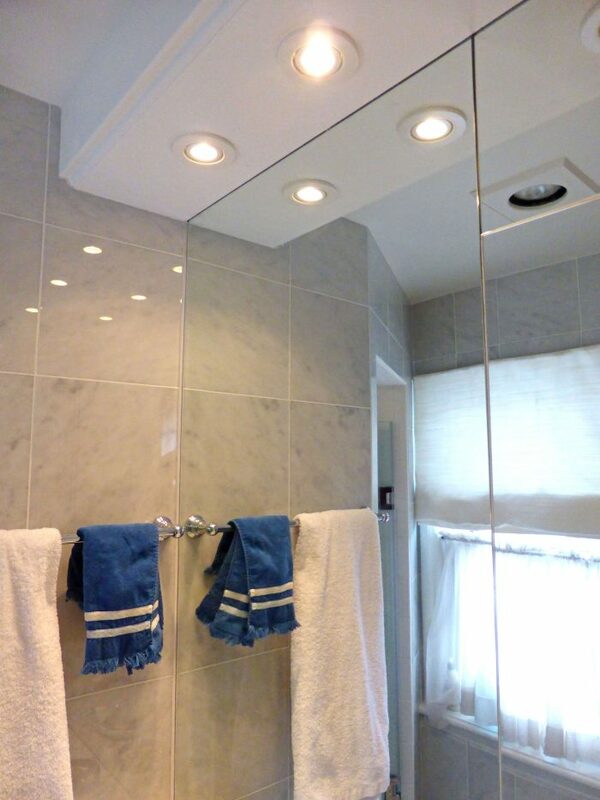 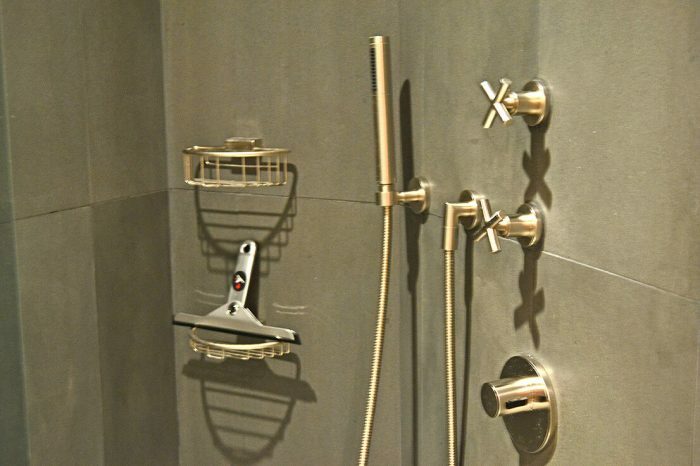 Complete renovation and design of various full bathrooms.